* Upward MoM for all major stock indexes. Rally continues. 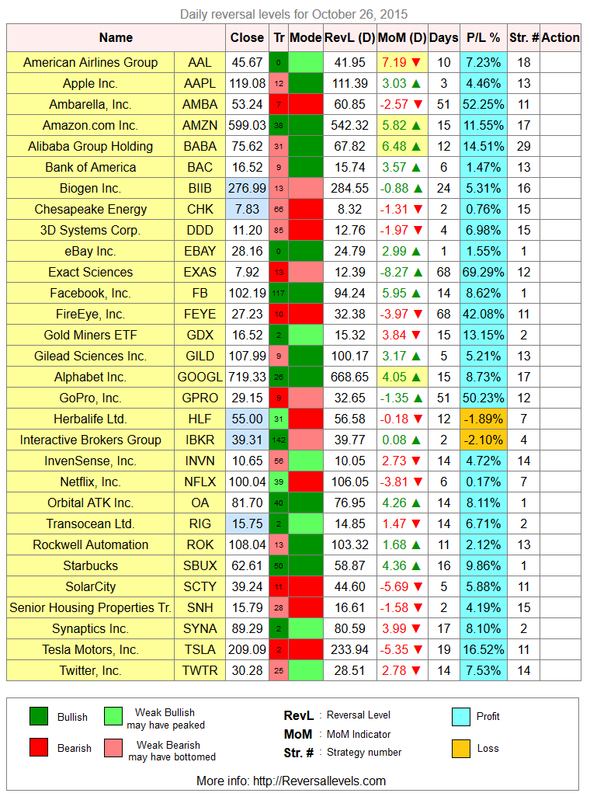 * No major changes in most stocks. 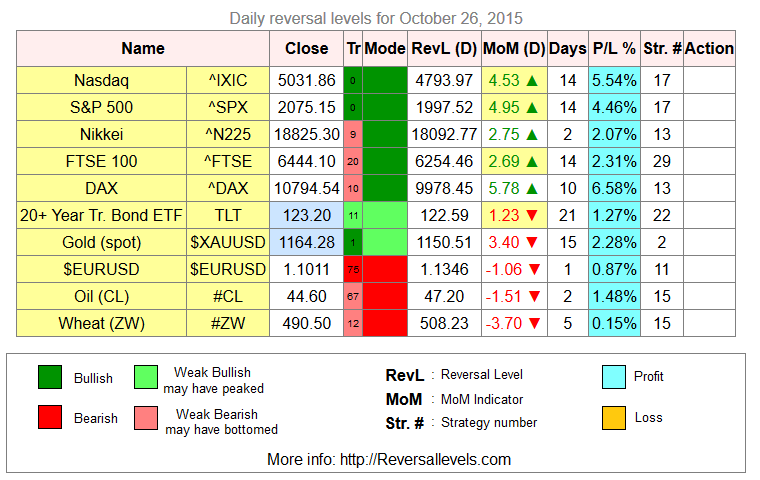 * The updated weekly reversal levels can be picked up here (Free).